Positions to be elected: Two 6-year terms. The Consolidated Election is administered by the Cook County Clerk’s Office. 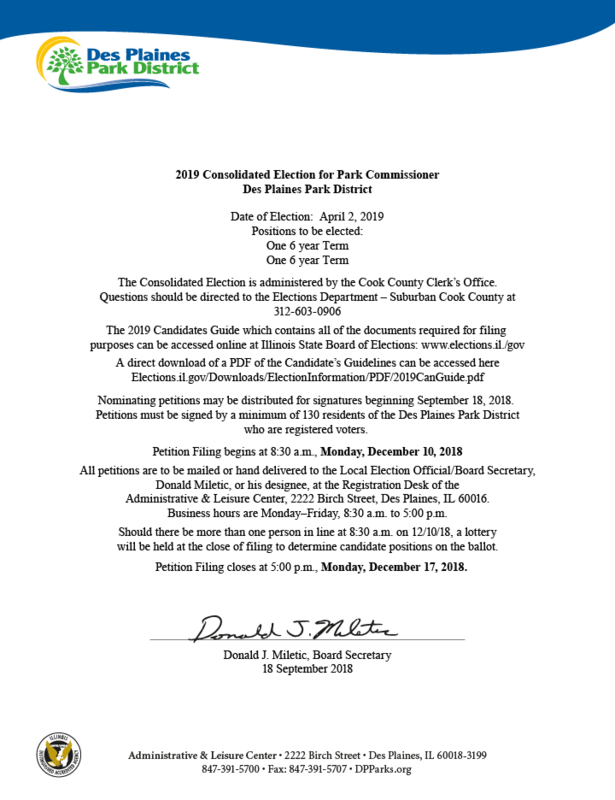 Questions should be directed to the Elections Department – Suburban Cook County at 312-603-0906. Download a copy of the filing information.